Oh god yes, the Tidal Wave was AMAZING! Sky Rocket II practically confirmed. Just an update on Falcon's Fury: the ride has been shut for months after sustaining severe damage from a much stronger than normal lightning strike. 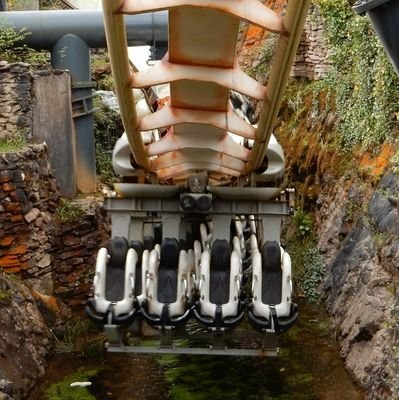 Replacement parts from Intamin have now been installed, but I'm told that the ride has to be tested and commissioned again as if it were brand new. The park want to reopen it ASAP, guest services are currently saying it will be back open in time for Howl-O-Scream however I wouldn't be surprised if it reopened earlier. Falcon's Fury has returned to service this afternoon! Busch Gardens has announced Tigirs, a brand new Premier Rides Sky Rocket II triple launch coaster for 2019. Busch Gardens also just massively teased RMC Gwazi for 2020, saying (with emphasis) that Gwazi has always had a ROCKY ride and that it (Gwazi) will be "revamped" into a whole new ride experience for 2020. Not to mention they did it in a 'Hybrid' announcement! I don't really care about Tigris, its an off the shelf model, but Gwazi? oh hohohoh. Busch Gardens Tampa have filed a construction permit to "partially demolish" some structures and fully demolish certain buildings. It is not known where in the park this is related to although it is largely expected to be related to the previously teased Rocky Mountain conversion of Gwazi for 2020. How do you reveal the train design for your new roller coaster when the train itself isn't ready and you want to reveal it at IAAPA? Simple - make the train in cake form of course! Does this mean Tigris will use the 2 car trains instead of the 3 car trains used on other SeaWorld sky rocket twos, or do you think this will change? Whilst it's been known that Gwazi will be getting the RMC treatment for a while, today has seen the official permits issued (the US version of planning permission) for the conversion of Gwazi into an RMC coaster, as confimed by Bill @ Touring Central Florida on Twitter. Whilst there has been some preparation work on the site, the issuing of the permit now means that any demolition work can now get underway meaning we should start to see much more visible changes soon. "The new Gwazi will make some major modifications to the duelling coasters. The first of which is to remove its duelling element. A new steel structure lift hill will give the coaster a 65m (212ft) 91degree first drop. Making it the tallest and steepest RMC hybrid coaster as well as the tallest coaster in florida. The original lift hills will remain and feature as "normal" hills on the new track"
Anybody here subscribe to the magazine? Is this official or just a rumour? Would love it to be true though! Thanks to Touring Central Florida! Project 2020 lives! It just found a new home. Looks awesome and the potential for even more over-the-top insane RMC elements. To try and give a bit of context as to just how high this ride will be - Steel Vengeance at Cedar Point (the current tallest hyper hybrid coaster) is 205ft tall at its highest point at the top of the lift hill, that's the same height as Stealth at Thorpe Park Resort. This new ride is going to be taller than that, and as mentioned previously will take the record for the tallest, steepest, and fastest hyper hybrid coaster, taking Steel Vengeance's crown! I really, really need to find a way to get back to Florida to experience this!! This looks insane, and just in time for my potential Florida trip in 2021. However, I have seen people already assuming that this will be better than Steel Vengeance. Can we ride it first, then judge afterwards? Stats don’t mean anything.